Gibsons, the independent jigsaw puzzle and board game company, will be showcasing their new board game, Crystal Hall, on Wednesday 21st November at the next Board Game Club pop-up event. 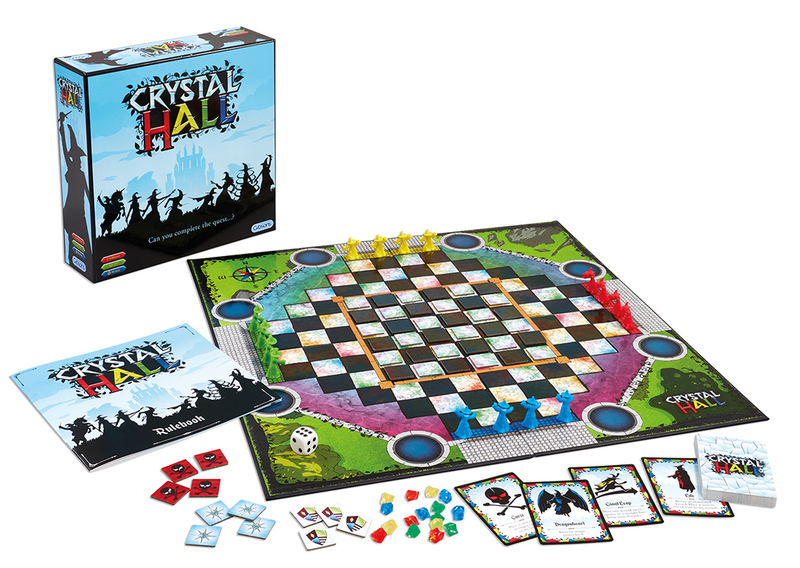 Crystal Hall is the magical game that encourages players to lead their wizard-shaped counters around the hall in a quest to uncover the four magical crystals! Players must endure potions, curses, and even enchanted swamps as they attempt to be the first to get their hands on the mystical crystals of power. The game was developed by four friends, John, Luke, Ben and Maren, who were mentored by the renowned inventor of Hare & Tortoise and Chicken Out, David Parlett. The four friends first launched the game on Kickstarter in 2016 and received over £5000 thanks to 120 backers. John then went on to pitch the game to Gibsons at Toy Fair 2017, who instantly fell in love with it and made the decision to add it to their growing games offering. The event is hosted by Board Game Club and will be held at Century Club, 61-63 Shaftesbury Avenue, on Wednesday 21st November between 6:30-11pm. There will be an opportunity for guests to meet the game inventors, test play the game and have a drink with friends and family. For those who would like to take a copy of the game away with them, Gibsons will be selling a limited amount of stock for £20.00 (20% off RRP). To attend, guests must simply register on the guest list by emailing boardgameclub@playtimepr.com or sign-up at www.boardgameclub.net. This event is strictly for over 18s.